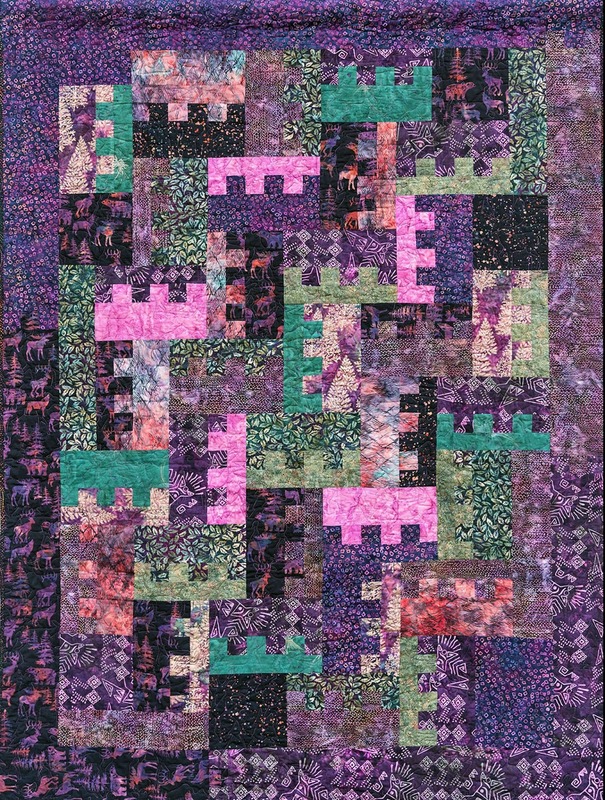 Each block in Birds was created by a different guild member, quilted, bound, and then stitched together by member Robin O'Neil. Thus, all the birds are different. 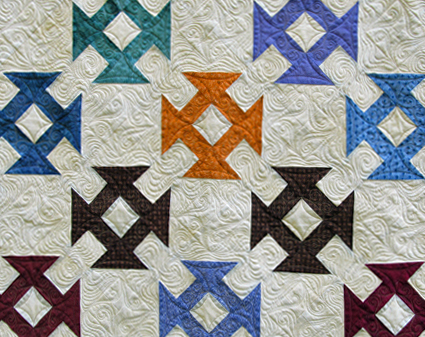 Each block is backed with the maker's choice of blue fabric. Size is 87 in. x 97 in. 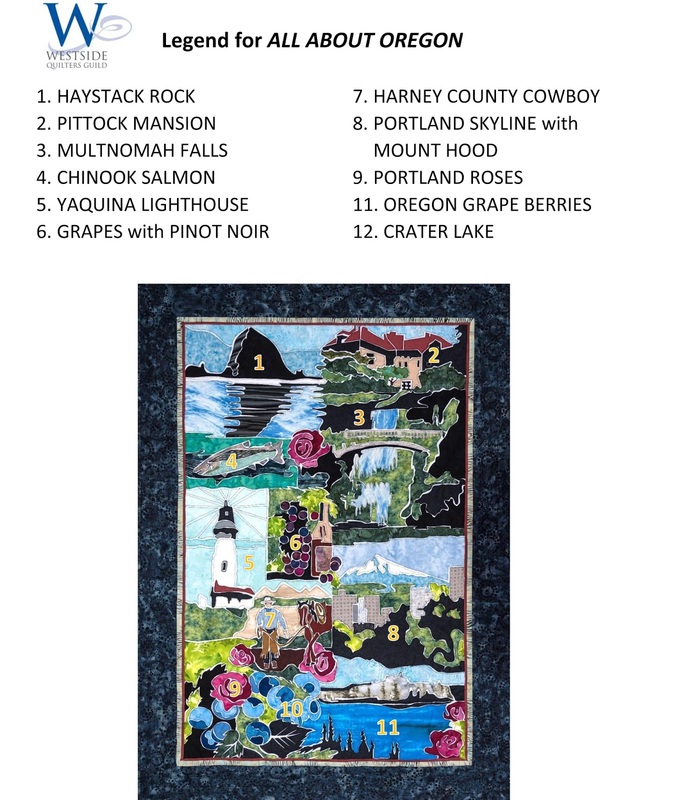 The drawing for the quilt will be held November 18th, 2019. 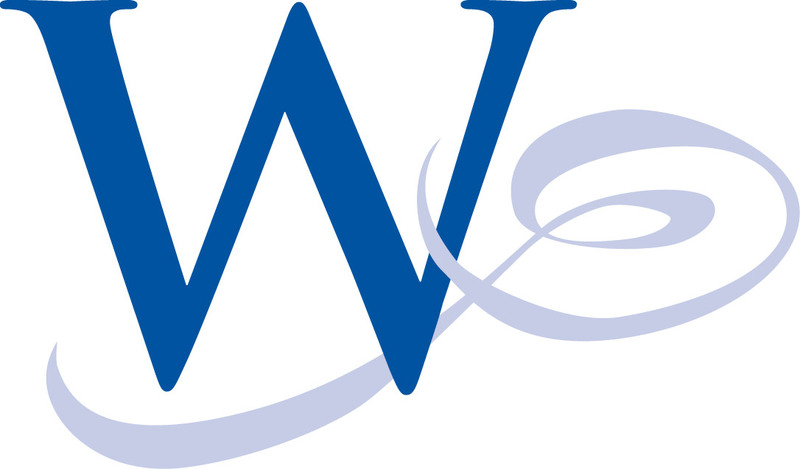 Proceeds benefit the Charity and Education committees of WQG. 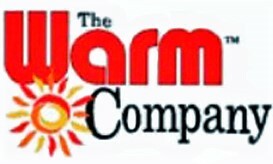 For tickets (available only in Oregon) contact a guild member. 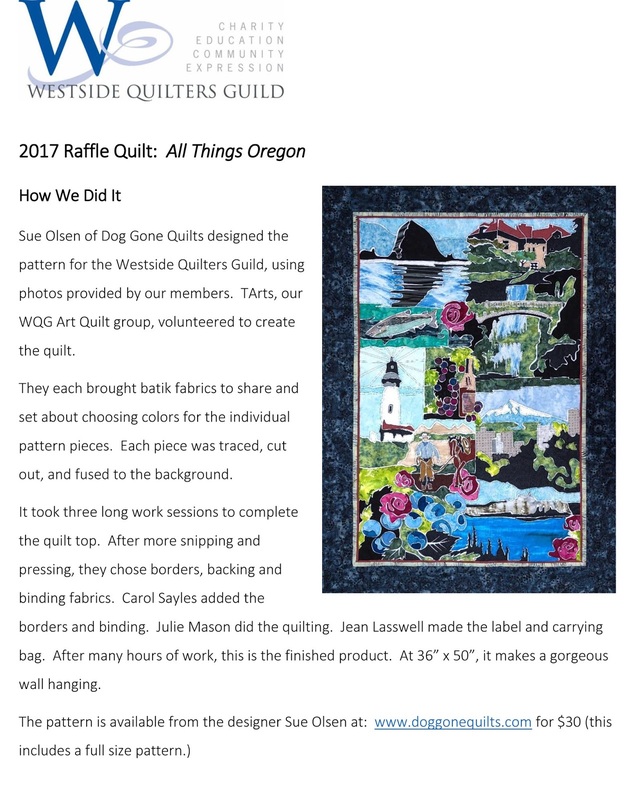 for sponsoring this year's quilt. Lego Forest was made by Patti Heyder and donated to our guild. 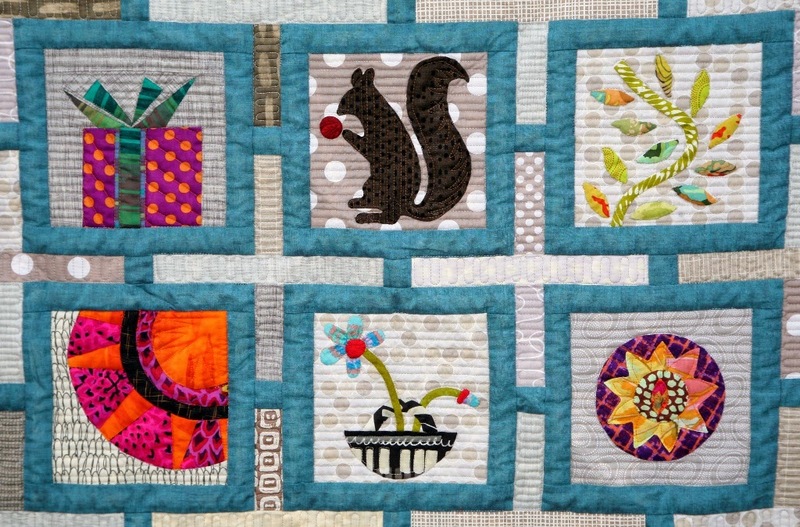 The beautiful quilting was done by Marci Yoder of Stitchery-We-Do. 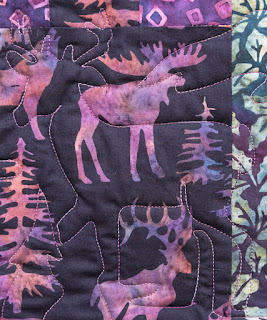 Notice the lovely deer patterned quilting. 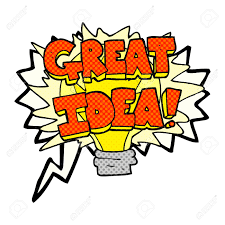 Lego FOREST was won at our drawing on October 17th, 2016. This original sampler quilt was designed and created by our own Mona Woo, along with help from many guild members. 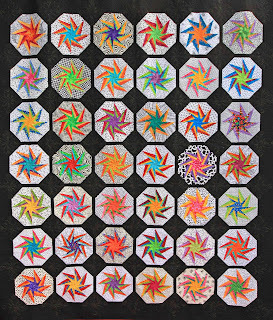 It was the centerpiece for our October quilt show, Color Pow!er. 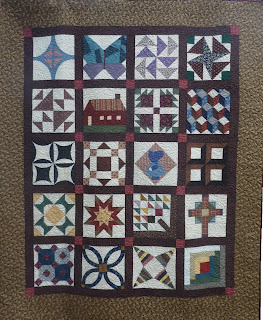 Member AnnMarie Cowley did a fabulous job with the quilting, and we are excited to have such an amazing quilt to share. This paper pieced quilt was made by member Marcia Elliott from a Fat Quarter Shop pattern. The custom quilting was done by Marci Yoder of Stitchery we Do. 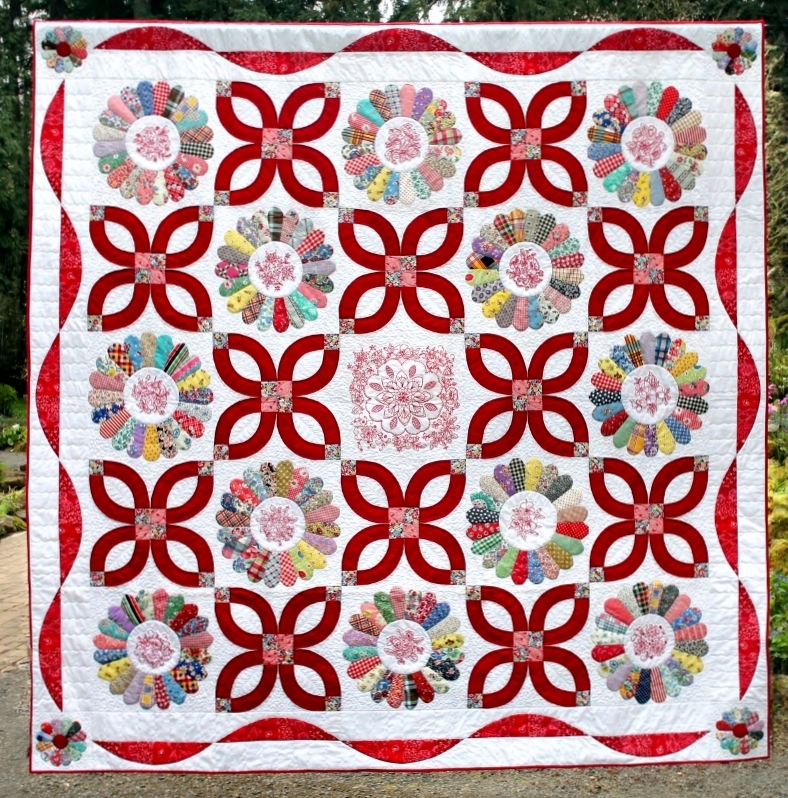 ﻿﻿This red, white and multi scrappy quilt is made with vintage hand pieced Dresden Plate blocks. 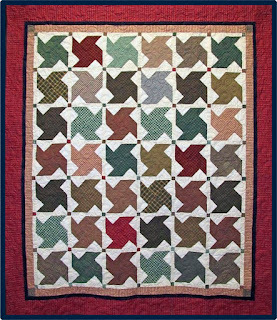 Member Jean Gordon designed the quilt and the redwork patterns. 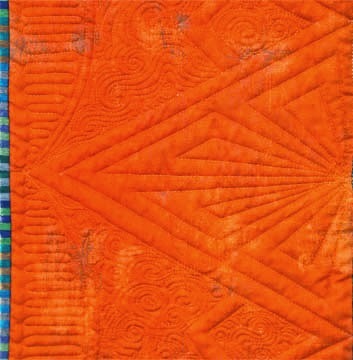 Guild members sewed and embroidered the bocks, with Jean completing the assembly and binding. 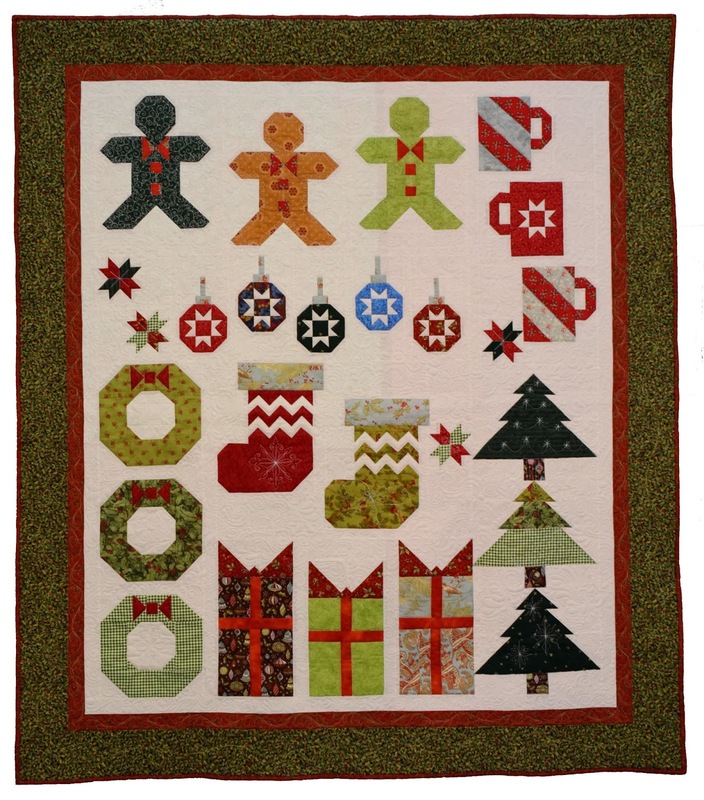 Custom quilting is by business member Stephanie Hinsvark of Red Hot Quilts. 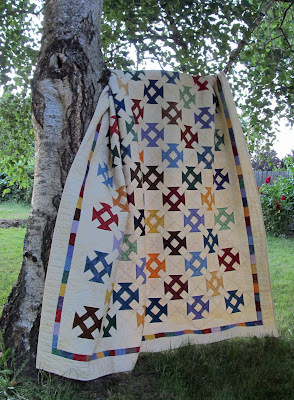 Our 2012 raffle quilt, Homespun Whirligig, was won by our own Nancy Schaefer. This quilt, made by our members, is 72 by 84 inches, and beautifully quilted by business member Sandy Pennington of Bella Rose Quilts. 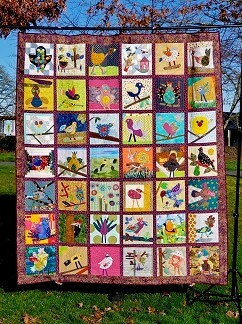 ﻿﻿Here is our our 2011 raffle quilt. It was won by guild member (the first time this has happened) Emily Kennedy. 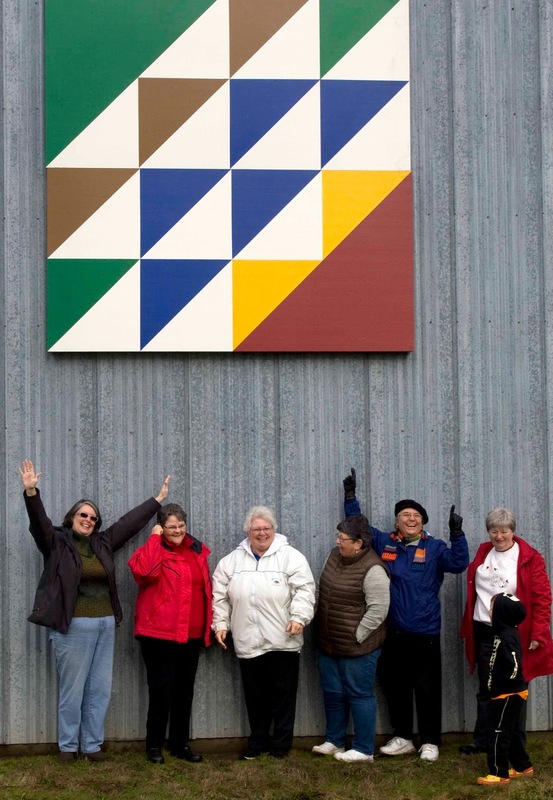 The queen-size quilt was pieced by our members in the Churn Dash pattern. 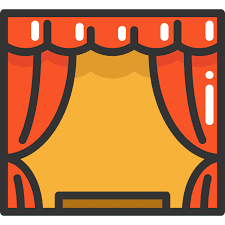 The background is a mottled beige with many jeweltone blocks. This beautiful quilt has custom, hand-guided longarm quilting in matching thread on the background and metallic gold on the colors. 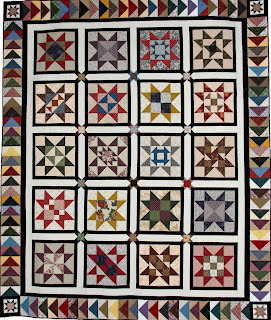 Our annual raffle quilt awarded April 2011 was this foundation- pieced scrappy quilt. 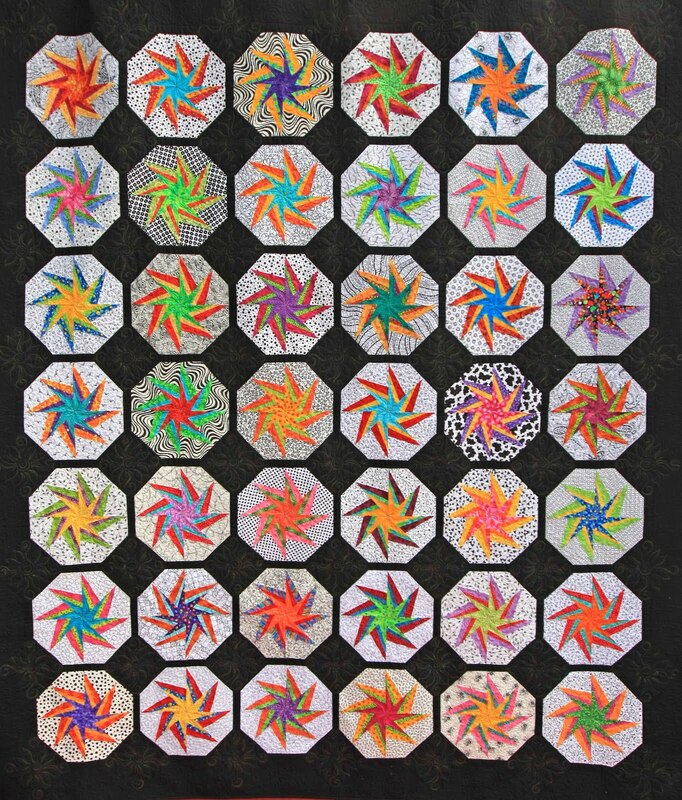 Black and white with bright spinning stars it measured 87 x 99 inches and was valued at $550. 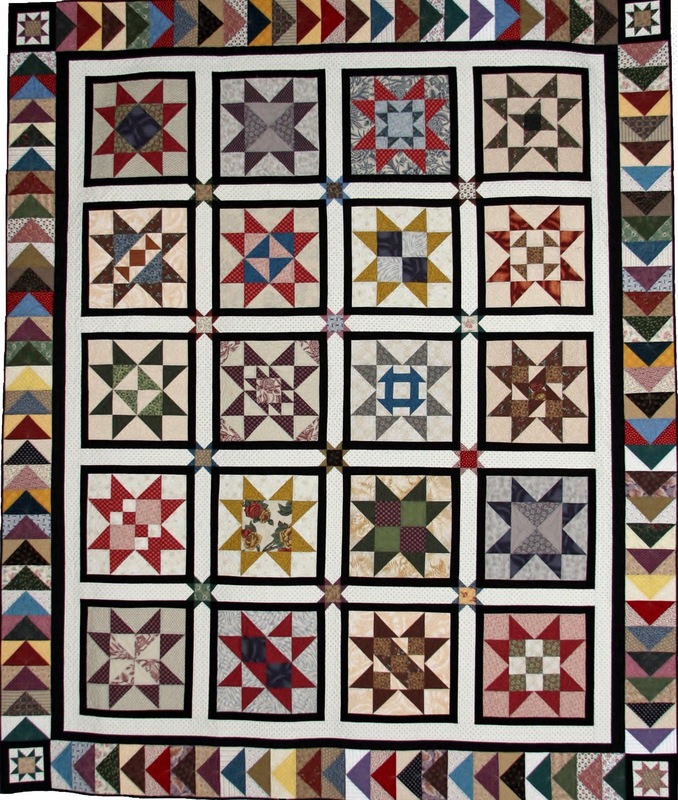 Blocks were made by our guild members and it was assembled with solid black fabric by our Raffle Quilt Committee. 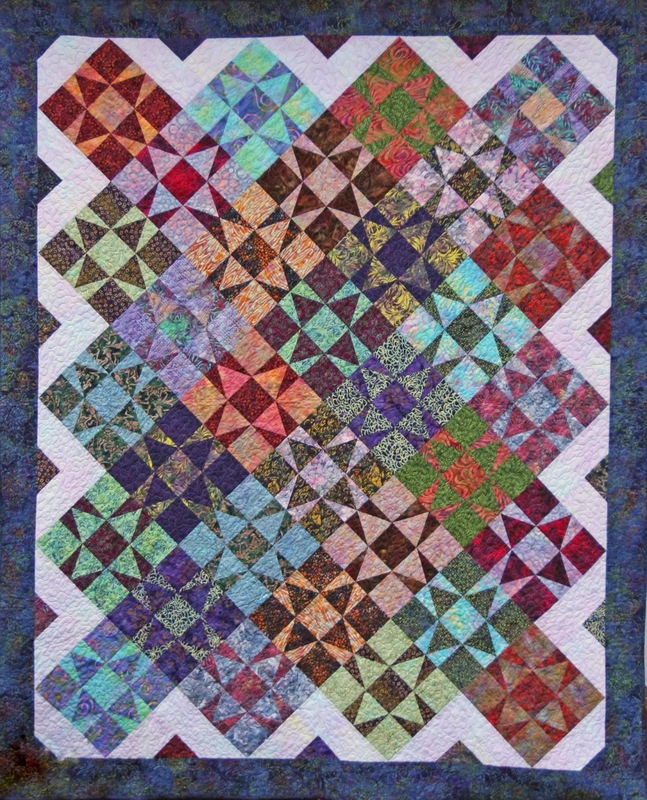 Finally, it was quilted with variegated thread by member and professional longarm quilter Stephanie Hinsvark of Red Hot Quilts. 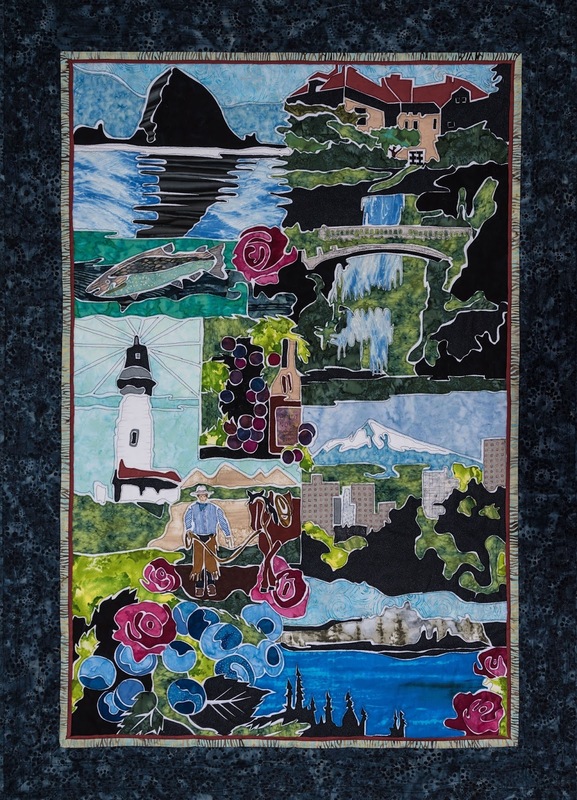 Our guild created this quilt (quilted by Shawn Priggel) in one month, along with seventeen additional single block quilts, for the production of "Quilters" the musical presented by Hillsboro's HART Theatre. 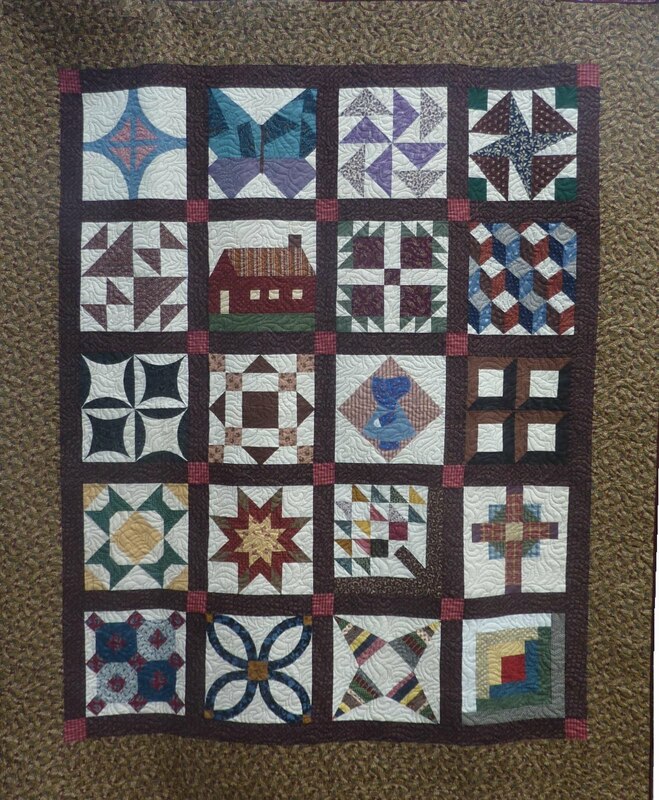 In addition to creating new quilts, we displayed a selection of quilts in the theater's lobby and auditorium for the run of the show. 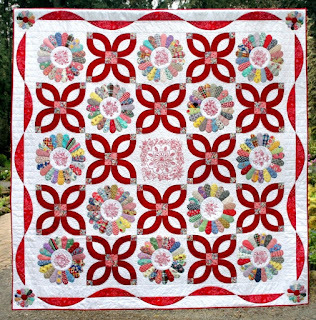 With blocks from nationally known Texas quilter June Harper, we created this 1850s reproduction quilt, custom machine quilted by Red Hot Quilts' Stephanie Hinsvark.